The first article under the Income Tax series was about Income Tax Slabs. Do go read it if you have difficulty calculating your taxes and the different slabs. There are various sections under which we can claim tax deductions. And each has it’s own limits and uses. 80C is the most popular section under which people claim tax deductions. Even though I have written in brief about this section, it was in 2013 and a lot of things have changed since then. Under this section 80C, Rs.1.5 Lakhs can be claimed for tax deductions. Money invested under this section enjoy tax deductions. They also have a long lock-in period attached to it. There are other types of expenses that can also be claimed under 80 C and in this article I will explain in depth about what I consider to be the most important one – Life Insurance. Life Insurance Policies are a must if you have dependents – spouse, children, parents, etc. It is double important if you have liabilities like home loan, car loan. The Insurance Policy makes sure that your dependents can maintain the same life style as they are currently enjoying even after your death. There are lot of Insurance agents who sell policies without trying to mention the words “DEATH“. Death is the one certainty that can happen to anyone at any time. It is very important to not mince words and ensure that your dependents are well protected. Life Insurance is needed for everyone who earns money in the family. Without their money, if you can’t lead the same lifestyle, then get that person insured. If you are the primary bread winner, get insurance. If your spouse also earns money, get insurance for him/her. If your children are still in school or college – don’t get insurance for them. There are many insurance providers who sell insurance policies in the name of Children Savings policy. These are just emotional words to get your money. When your child earns his own money, he can get himself insured. Till then, it is not needed. The only difference is if you child earns the money in your family as an artiste and you are dependent on him/her, then you need to get them insured. What Life Insurance Policy to buy? Always buy a Term Insurance policy. Go on to the next section. Ok. You are still here? Want to know why I said Term Insurance? an arrangement by which a company or the state undertakes to provide a guarantee of compensation for specified loss, damage, illness, or death in return for payment of a specified premium. See how the dictionary definition doesn’t have any word called investment or savings? Term insurance is the only true life insurance policy that strictly follows the dictionary definition. You should never mix insurance and investment. Both are completely different and should remain separate. Since term insurance is just a pure insurance product, you get more value for your money. Generally speaking you should be insured for 10x to 12x your annual income + any liabilities (loans) you have. So if your annual income is Rs.10 lakhs and you don’t have any home loan, get a term insurance for minimum 1 crore. If you have a home loan of Rs.50 lakhs, up your term insurance to Rs.1.5 crores. Which Term Insurance to choose? There are many providers to choose from and it is easy to buy a term insurance online by spending less than 30 mins. All Insurance Providers are regulated by the IRDA, so you can choose any provider. So it makes sense to choose the provider who gives the lowest price and has the highest settlement ratio. But you should make sure that you fill in your insurance form by yourself and fill it in truthfully. The premium you pay depends on your health conditions (smoker/diabetes/heart condition/etc). If you fill it in with wrong details, there will complications when the policy is claimed. And the only time the policy is going to get claimed is when you are not alive – leading to unnecessary complications for your near and dear. So always fill in the form properly and get the mandatory medical test to avoid complications. Now that you have covered your dependents for cases when you might not be alive and also gotten tax deductions for the premium paid, next is to invest the remaining money for your future and also get tax deductions for that. The next article is about my most preferred tax efficient investing method – ELSS funds. Do give me your email address below and I will send it to you as soon as I publish. Return of Premium Term Insurance policies – worth it? Ask any Insurance agents “Why they don’t prefer/suggest Term Insurance?”, their answer would be “There is no survival benefits”. Meaning: if you lived the entire term of the insurance, you won’t get back any of your money back. All the money you paid as premiums are for the insurance expense. Lot of people think that argument is valid and end up paying lakhs of rupees as premium for a pathetic amount as sum assured in traditional plans. They feel that every money they pay for insurance should be returned to them. Some of these insurance companies have taken the hint and created a product called Return of Premium Term Insurance policies. It is just like any other term insurance policy – you pay premium every year for a higher sum assured. But at the end of the term, if you are alive, you get back all the premium you paid to the company. I hear you saying “Thats great.” Hold your horses! For this additional feature, you end up paying higher premiums. Typically 4 to 5 time more than a normal term insurance. For example: lets say you are 30 years old and want to take an insurance policy for Rs.1 crore. If you opt for a Return of premium plan you might have to pay approximately Rs.32,500. 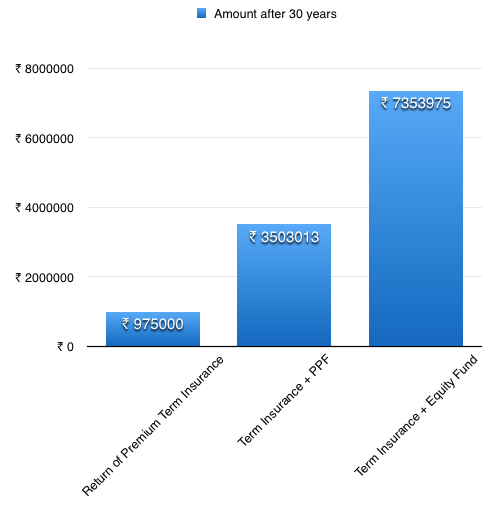 At the end of 30 years if you are alive, the company would pay you back Rs.9.75 lakhs – the entire premium you paid. On the other hand, a plain Term insurance would cost you about Rs.7500 if taken online. You may say, but this extra Rs.25,000 is not that bad right? One can get the best of both worlds. High sum assured for life coverage and also get back all the money they put in (even if they are willing to lose the interest for 30 years). Lets see if we can beat this Rs.9.75 lakhs payback by taking just a plain term insurance and investing the remaining money somewhere else. Even if there is one safe investment that can beat this returns, this insurance product is a waste of your money. Our objective here is to invest Rs.25000 per year in some investment product and hope to get back more than Rs.9,75,000 at the end of year 30. Public Provident Funds or PPFs are the most safest way to invest and get tax benefits + tax-free returns. I have already talking about PPF earlier. The lock-in period of 15 years isn’t important as we are going in for the really long-term of 30 years. Lets see how much we will get after 30 years at the rate of 8.7% (current rate of interest). In 30 years, by investing Rs.25,000 every year in a PPF account and extending the account till 30 years, a person would end up with Rs. 35,03,013. Rs. 35 lakhs. Compared to the Rs.9.75 lakhs this is so much more and also PPF accounts are backed by the Government of India, unlike your insurance company. Equity Mutual Funds are optimum for people who want to take a little bit more risk as it helps you earn better returns than any other asset class. Also invested for over 30 years, equity markets are the best investments which can provide inflation beating returns. But lets not be too greedy for higher returns. Let us assume a very moderate and easily achievable 12% return. Note that I am not claiming 16% returns which is what Sensex has given over the really long period. The important part to note here is we will be spreading our investments over 12 months x 30 years – in the form of a Systematic Investment Plan (SIP) to average out any volatility in the market. Can you guess how much you will have at the end of 30 years by doing a SIP of Rs.2083.33 per month, earning a return of just 12%? Believe it or not, it is Rs.73,53,975. Rs. 73 freakin-lakhs is more than 7.5 times higher than your amazingly new “Return of Premium Term Insurance” policy that the company is trying to sell you. If you assume the usual long-term rate of return of 16%, you would get Rs.1.85 Crores. Plain Term Insurance (Rs.7500) + Equity Mutual Funds and easily get back more than Rs.73 lakhs. Next time some insurance agent comes to you and suggests you buy some revolutionary new product which will give you amazing returns, sit back and take out your calculator. Ask them to show how much returns their product gives and compare it to the returns an Equity Fund or the plain old trusty PPF gives. Let them beat PPF’s returns first, then we can think whether or not its revolutionary. Always remember, life insurance is an expense and not an investment. If all things go well, you or your dependants shouldn’t ever get a cheque from your Insurance Company. This analysis and results are very similar to the ULIP vs PPF vs Mutual Fund analysis I made earlier. You might also want to check that out too. Who does NOT require a Life Insurance? Who think Life Insurance is the only safest form of investment in the whole wide world. Who think Life Insurance is needed only to claim the 80C tax benefits. The first category is brain-washed by the old LIC agents who get big, fat agent commissions whenever you pay your premiums. Their agents only sell them traditional policies, because the premium is higher and the agent gets more commissions. These people need to read more on how traditional insurance policies are one of the worst performing investments (I wouldn’t even call it an investment). But this post isn’t for them. This post is for the people on the other extreme – those who think that Life Insurance is just a way to get tax benefits under the section 80C of Income Tax. They don’t understand the meaning of the two words “Life Insurance”. I have a friend who on getting his job, immediately took a home loan and bought an apartment. When I asked him how much insurance he has taken, he said “Insurance? why would I need that? I already claim all my 80C from the PF and housing loan principal. 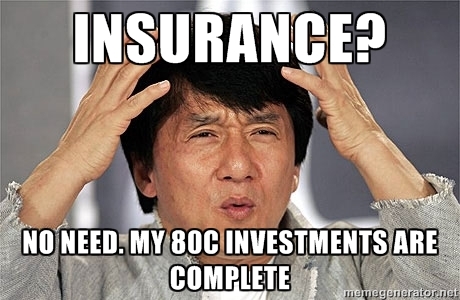 I don’t need to invest anymore for 80C.” He thinks insurance under 80C is a way for the government to get more money from tax payers. He has a pretty heavy liability in the form of a home loan and both his parents are dependant on him. When I asked what would happen incase he dies, he says that his sister would repay the loan or his parents would sell the apartment and live off the interest from that money. What a dumb answer. His sister already has a home loan of her own and she has a family with kid for whom she needs to provide education. And his other idea of selling his house and living off that money? When they sell that house, most of the money will be used to repay the bank and they would get back a very small amount (maybe a few lakhs) and that money isn’t enough to earn interest for two people to live off, especially with the rising costs. Do you need Life Insurance or not? To know if you need Life Insurance or not, let me ask you a few set of questions here. Do you have parents who are dependant on your income? Are you married and you have a spouse who is dependant on your income? Or are you planning to ever get married in your life? Do you have kids? Or are you planning to have kids? Do you have any kind of liability – home loans, car loans, personal loans? And if you die does your dependants be burdened to repay these? Do you have any one else in your immediate family dependant on you for their living? like siblings? If the answer to even one of the question is a “Yes”, then “Yes, you need life insurance”. If I need to slap you to get that into your brain, I don’t mind doing the honours. If you answered “No” to every question, then you can skip your life insurance. In other words, if you are going to be Forever Alone, then you don’t need life insurance. If you die and no one’s financial life is going to be affected, then you can skip it. If not even a single person is financially dependant on you, then you don’t need life insurance. Number of people falling under the “No to all” category, especially young, salaried people or people with their own businesses will be less than 1%. And there is a high probability that you don’t fall under that category. So go ahead buy a online term insurance and make sure your dependants are not left in the dark when you are not there to support them. If you don’t have an adequate life cover, then the best time to buy a Term Insurance is Today and Now. Just go online and buy one. Don’t wait. But if you want to be a bit smart about it, you can time the insurance buying & premium payment, so that you can pay lesser premium. The trick is to buy your term insurance before your birthday. But make sure you have enough time for the form filling, document submission, re-submission (yeah it happens), medical test, etc. I would suggest a month before your birthday would be ideal. Term insurance premiums are calculated by your age and with each increase in the year, the premium cost goes up. So by taking a term insurance well before the birthday (instead of just after one) you are locking the premium for the entire term (30-35 years). Also remember to time it on a month where you would have enough cash at hand. For example, March is a bad time to take term insurance. With all the last-minute taxes to be settled it is too much of a hassle, especially if you are salaried and this extra Rs.10000-12000 will make or break your month. I would suggest to make all your tax savings or annual payments before the end of December and have the entire January-March period free. Saves you a lot of sleepless nights. Also make sure you don’t have it during the April-June period as you might have to pay your kid’s education fees (even though “kids” might be in the future). One can easily plan for such repeated expenses properly and don’t have to worry about borrowing money from banks/friends. So if your birthday is coming up in the next few months, go ahead and buy that term insurance now. 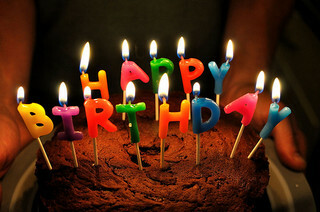 If your birthday was just over and you still don’t have term insurance, well, go ahead and buy that term insurance now. Now you should be pretty convinced why you need insurance and why term insurance is better than the traditional insurances. Now lets see how to buy one. Buying a term insurance is pretty easy and can be done entirely online. And there are numerous insurance companies which now offer term insurance. There are a few important things to keep in mind while choosing a company for your term insurance. Find the premium cost. For the same Rs. 1 Crore sum assured, different companies would charge different premiums. It all depends on their expenses. If the company has a lot of agents to sell their plans, they need to be paid salary and the expenses increase. If the company sells it primarily through online and has 1 office per city, then their expenses are low and thus the premium is also. You should try to get as an insurance plan which has the as low premium as possible. But premium alone can’t be the only factor (else I wouldn’t have put in bullet points). Check the claim settlement ratio of the company. Every year, each company needs to publish the claims which it received and the percentage that was accepted and paid for vs the percentage that was rejected. You can get this info mostly from the company’s website easily and IRDA also publishes this information. Better companies like LIC, HDFC, ICICI, SBI, etc usually have better claim settlement ratio. Also some companies/plans have a maximum limit for the sum assured or the policy period. Do make sure you research these too and fits your needs. What about the extra riders? Accidental Death: If you die because of an accident your dependents get this extra money. Do note that the money one gets from this rider is extra to the sum assured you get from the term insurances. Say you bought a plan for Rs.1 Crore and a 25 lakh accidental death and you die because of an accident, your nominee would get 1.25 crore. If you died of natural causes, they would get Rs. 1 Crore. Critical Illness: If you are diagnosed with a critical illness (listed out in the policy), you would get a lump sum amount for your medical expenses. Eg: If someone is diagnosed with cancer and has a term insurance + critical illness, he would get the benefits from this rider, even though he is still alive. Accidental Disability Rider: If you are disabled because of an accident you would get a sum in installments per year as mentioned in the policy. Premium waiver: This rider is useful if for some reason are not able to continue paying your premiums due to disability or loss of income. Eg: if a woman working and has a term insurance + premium waiver rider, stops working, thereby losing her regular income, she will still be covered under the policy even though she doesn’t have to pay any more premiums. Do remember these riders are not mandatory and most of the cases just a term insurance should be enough to cover the most basic needs. If an agent tries to up sell you any of these waivers, ask him to explain it in detail and decide accordingly based on your financial goals and needs. Many companies also has even more features in their plans. You can check out their websites or call up their agent to get more information about it. Different companies and plans have different payment frequencies like monthly, quarterly, annual or single premium. Usually it is best to pay it annually as the amount you would end up paying wouldn’t be very high. Please stay away from single premium option, where you would pay the entire premium (a few lakhs) at the beginning itself for the insurance. It significantly reduces the risk for the company and increases your net amount paid. If you were to die in year 3 of a normal term insurance paid annually, you would have paid about Rs.30,000 (assuming Rs.10,000 premium per annum). Instead if you opted for a single premium option, you would have paid Rs. 2 lakhs (these are rough figures) for the plan and if you died in year 3, the insurance company profits more than your dependants. Term insurance isn’t an investment, so at the end of maturity, you (as the insured) wouldn’t get any money from the company if you survived the insurance period. There are however some plans which would return back the premium paid at the end of maturity. So, if you had paid a total Rs. 5 lakhs as premium for 30 years, on the 31st year if you are still alive, you would get back the Rs. 5 lakhs. However the premium for these plans are higher than the normal term insurance, because they now need to save your premium and return it back to you after 30 years. Apart from the increased cost, think about the value of the Rs. 5 lakh after 30 years. It would maybe help you pay your expenses for couple of months. Is it really worth spending extra to get this kind of low returns. Instead buy a normal insurance policy and invest the remaining amount in a better investment product and reap the benefits after 30 years. Now you may ask how long should one take the policy for? Most financial planners would say “the maximum period you can get”. But, some companies allow you to take a policy till you are 75 years old. So should you take a policy till 75? No. Please don’t do that mistake. When you are 58 years old, you would have mostly retired and would now have no income (or very low-income). By the time you retire all your debt would have been paid off and your (and your spouse’) expenses would also would be very low. Your kids would have been settled in a nice job and are no longer dependant on your income. But since you have taken a policy till you are 75, now you have to keep paying the premium for 17 more years extra. Once you are retired, it doesn’t make sense to spend money for things which doesn’t return anything (or too risky). According to me, the easiest way to calculated the period is: age at which you wish to retire – your current age. Say you want to retire at 50 (means you should’ve paid all your home loans and be financially secure for the rest of your life) and you are currently 25 years old. Then take a policy for 25 years (50-25). Because when you reach 51, you would have no income (or very low regular income) and would also not have any major expenses too. All your financial burden is now gone and you would have saved enough money for both you and your spouse to lead a nice worry free life. No one is dependant upon your income (remember you don’t have any) for paying any loans. So just decide your age of retirement and use that as a guide for the insurance period. 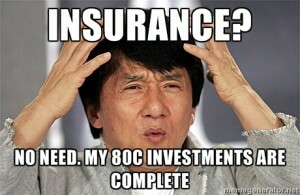 The easiest way to find the various companies that provide term insurance in India is to check out PolicyBazaar.com. You just have to enter basic details about yourself and you will be given a list of plans which you can compare. You can even buy it directly from their website. There are also options to buy the term insurance policies offline through agents. If you are not feeling safe buying online and need more clarifications about the various options and riders, do call an agent and buy from him. However offline term insurance will be slightly costlier than online. But it is better to do it the right way even if it costs a bit more. Once you have decided on the sum assured, company/plan, riders you want to add, etc. Now comes the part of filling up the form. If you fill it online or offline through an agent, make sure you disclose everything about yourself to the company – your age, medical history, smoking/drinking habits, any hereditary diseases in your family, any other insurance policies, etc. Missing out or providing false information for any of these are a sure way to get a claim rejected. Remember, your family would already by affected emotionally by your death and if the claim is rejected, it would push them into an even worse position. So please make sure you fill in the right information in the application form. Usually when the sum assured crosses a threshold, the companies would want you to take a medical test. They have approved medical centers which test you and send the result directly to the company. If they find any anomaly like higher nicotine levels or blood sugar, etc., they have every right to put you in a higher risk category which increases the premium. So, if you smoke, do mention in the form that you smoke. They will find it out anyway. You are also required to inform the insurance company if you begin smoking after the policy is issued and they will increase the premium from then. If you didn’t inform the company about your new habit and you die, it would be impossible to get the claim accepted. But I do have an even better option: Quit smoking. Smoking kills you and also others around you. Anyway, do make sure you research the different term insurances by this week and buy one as early as possible.